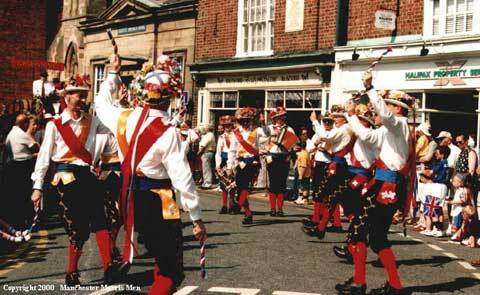 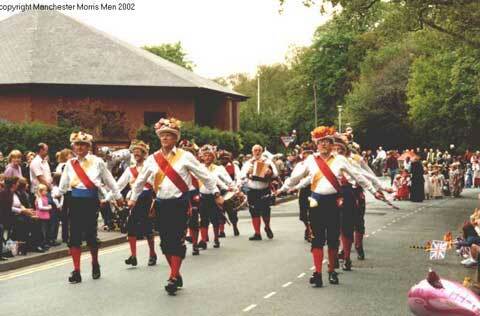 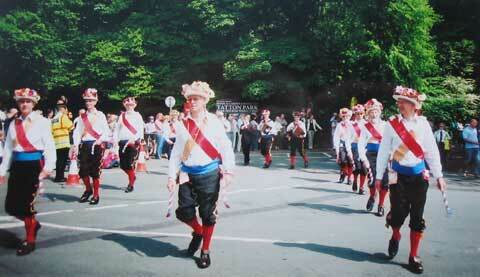 Manchester Morris Men have been dancing in the procession accompanying the May Queen at Knutsford since 1979. 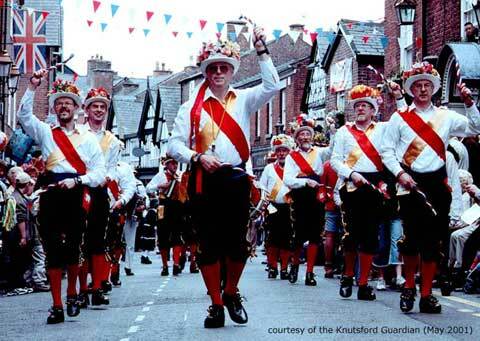 This continues a long tradition of Morris Men at Knutsford, started when the Godley Hill Royal Morris Dancers first danced in the procession in 1878. 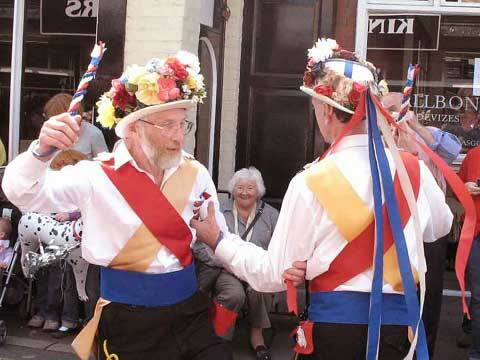 Photos from 2010 and 2011 are on our Flickr site. 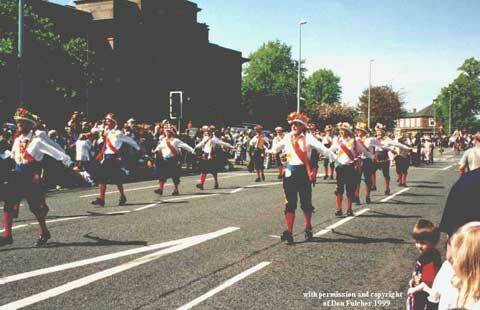 And this page shows the MMM in the procession in other years. 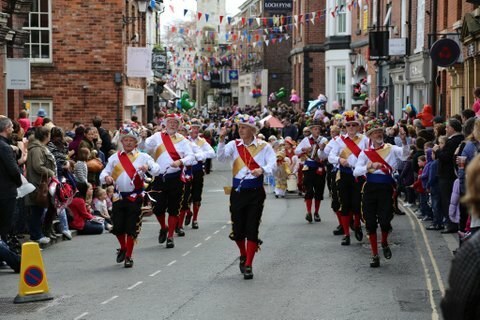 Many thanks to the photographers who have given us permission to use their photographs.